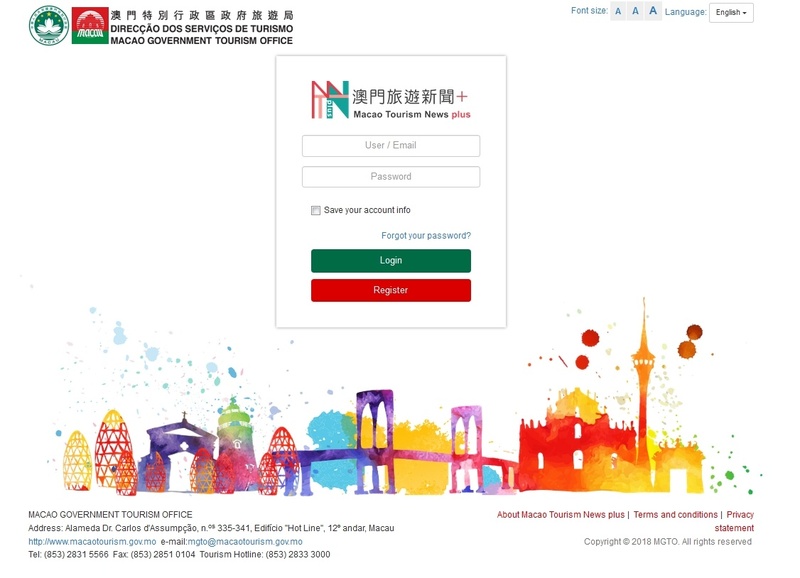 An online news database run by Macao Government Tourism Office (MGTO), the “Macao Tourism News plus” now welcomes tourism industry personnel in the related fields of communication and news dissemination to register as account users starting from today (28 March). Upholding the principle of information transparency and resource sharing, MGTO encourages industry partners to obtain free press materials from the platform, with the aim to bolster the productivity of their work in communication and news dissemination and enhance the quality and efficiency of dissemination of local tourism news in concerted effort. Launched before the end of 2016, the “Macao Tourism News plus” has opened its service to journalists and editors of media outlets. Since its establishment, the database has kept growing in its range of data, comprising close to 17,000 data records including over 1,600 press releases, 6,600 event features and 8,500 photos to date. Feature news kits for highlight events have also been set up for users to obtain related press materials in different formats conveniently. At present, news providers for the database include MGTO and its representatives across the world, their press materials released in over ten languages to cater for the demand of over ten respective source markets. With the above spectrum of news data, the “Macao Tourism News plus” is delivering its key function of compiling local tourism news materials from the various providers. 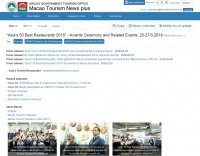 MGTO now welcomes local tourism industry personnel in the related fields of communication and news dissemination and those from overseas recommended by MGTO representatives to register for their user accounts on the “Macao Tourism News plus”: http://newsplus.macaotourism.gov.mo. For further enquiry, please feel free to send an email to newsplus@macaotourism.gov.mo. In the days ahead, MGTO will be continuously dedicated to optimizing the system of the platform and enriching its spectrum of news data to remarkably enhance the quality and efficiency of dissemination of Macao tourism news, thereby providing useful reference materials and records for Macao to step up its transformation into a world centre of tourism and leisure.